Breathing Blue is a watersports platform joining together watersports community and environmental responsibility to benefit society by promoting healthy lifestyle in balance with a sustainable future. From world renowned figures to local schools, Breathing Blue aims to create synergies to raise awareness on environmental issues to find solutions involving all the actors. Different passions towards a common aim. SUP Yoga will be available at every day during the days of the Festival Save Posidonia. 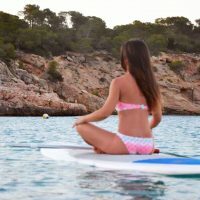 SUP Yoga team will teach you surrounded by the crystal clear waters around Formentera. 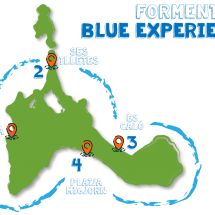 Joining together windsurf, kitesurf, kayak and standup paddle surf, water sports lovers and fans from around the world will enjoy their passion and contribute to saving the posidonia in Formentera. 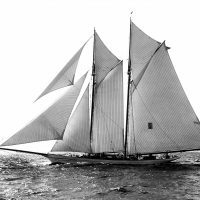 Setting sail to Formentera to raise awareness for the posidonia, the Green Sails movement joins together the fleet to arrive in time for the Festival Save Posidonia.